ZTE wins a legal battle over Kenya Power meters deal. Ketraco in trouble over inflated cost of Loiyangalani-Suswa transmission line. 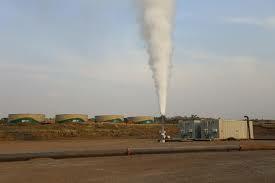 Three IPPS to be cleared by GDC to start operations of combined 105MW of geothermal capacity in Nakuru. In Uganda, at least 22,000 households in Nakasongola District are set to benefit from the rural electricity programme. Symbion sells stake in Rwanda’s Lake Kivu methane project to project partner Highliand Power Ltd.
Chinese firm ZTE has won the protracted legal battle over a Sh1.25bn Kenya Power meters deal after the High Court quashed a decision by the public procurement watchdog nullifying the contract. The Public Procurement Administrative Review Board (PPARB) in May 2018 had nullified the award of the contract to design, supply and install an advanced metering to the Chinese telecoms equipment and systems firm. Frequent power outages in Kisumu will be a thing of the past upon the completion of Sh300 million substation at Mlimani by June 2019. Kenya Power Western Region Managing Director, Dan Obiero noted that the new installation would phase out frequent power rationing in the city due to overstretched installations and aged lines. Ketraco has commissioned the construction of a new power line that will offer an alternative path for power into the Nairobi Metropolitan region. The Nairobi Ring Associated Sub-stations project involves the construction of four sub-stations to increase transformation capacity and removing load from the existing overloaded substations. Migori County Governor, Okoth Obado on Wednesday last week commissioned a street lighting project at Kegonga and Maeta markets in Kuria East constituency. The governor commissioned 94 street lanterns that were installed by Kenya Power at a cost of KShs.9 million. Governor Obado said that the county government plans to spend a total of KShs.120 million to provide adequate public lighting to Migori’s commercial centres. Kenyans are inching closer to getting lower power bills once three independent power producers (IPPS) cleared by GDC start operations at the Menengai Crater Floor in Nakuru. The three producers were expected to set up power plants under a build–own–operate model, giving hope for cheap electrical power in the country. Each is expected to set up a 35MW modular geothermal power plant in the Menengai Crater field to generate a cumulative of 105 MW. Electricity bills for households have defied the recent tariff cuts by the energy regulator to shoot to a record high, raising questions on the forces behind the cost upsurge. Power bills for homes that consume 200 kilowatt hours (kWh) per month, mostly middle class, rose from Sh4,485 in January to a high of Sh4,561 last month – the highest cost point since the government started making the data public. A Nairobi lawyer has found himself in court for allegedly installing and using electricity illegally without paying for it. Joseph Lule Onyango, 40, was accused of using free power for close to seven months. He is accused of committing the crime from July 2, 2018 to February 18 at Utawala area, before he was nabbed. The newly re-appointed chairman of REA Dr Simon Gicharu has announced that the Board of Directors will embark on follow up and monitoring of all effectiveness and utilisation of public schools and public facilities electrified by REA in the last five years. In an interview in Mombasa, Dr Gicharu said the exercise will involve completing of all projects that are incomplete, rectifying any faults that may have occurred in the lines/transformers before embarking on new projects. Corporate governance issues and dependence on debt financing are likely to weigh on the Kenya Power stock at the Nairobi Securities Exchange (NSE) despite the share trading at a discount, analysts have warned. The utility a week ago reported half-year to December 2018 results, which showed a 16 percent drop in half-year profit to Sh2.46 billion, largely due to higher expenses. Ketraco says it has spent Sh28.9 billion to construct the 435-kilometre Loiyangalani-Suswa transmission line, contradicting an earlier figure given last year. Parliament, however, directed Ketraco to provide the actual amount of money so far spent on constructing the line that started in 2014 but stalled after a Spanish contractor went bankrupt. At least 22,822 households in Nakasongola District are set to benefit from the rural electricity programme following its commissioning last week. Government through ERA contracted Mohan Energy Corporation Private Ltd and EMC Ltd to distribute 271kms of medium voltage line and 142kms of low voltage power line through eight sub-counties. New York-based Symbion Power is selling its Rwanda investment in the Lake Kivu methane gas-to-power project. Two other methane-extraction projects are underway in Lake Kivu. ContourGlobal, a U.S. firm registered in London, has invested a reported $200 million in phase one of a two-phase project called KivuWatt. Gasmeth Energy Limited, a Rwandan firm, has announced plans to invest $400 million in a plant. Kenya and Ethiopia have renewed their commitment to implement joint infrastructure projects as key enablers of the two economies. The Lapsset project includes building of railway, electricity, roads and the Lamu Port.